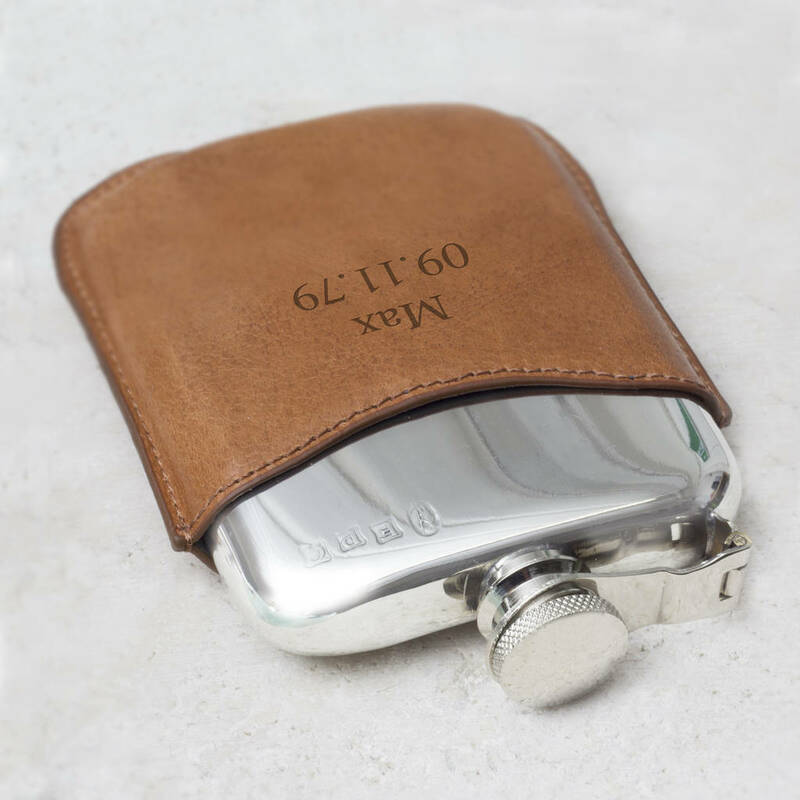 A contemporary hip flask made from solid English Pewter which is encapsulated in a hand stitched buff leather sleeve. PLEASE NOTE: Due to the hand manufacturing process, slight blemishes and marks occur on pewter flasks adding to the character of the item. 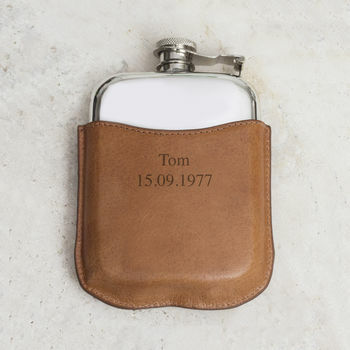 This item is made from solid pewter and leather. This product is dispatched to you by Atticus.